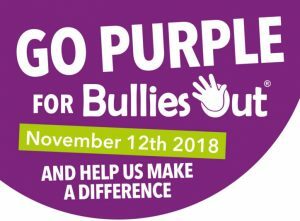 Go Purple is UK BulliesOut’s fundraising and awareness campaign to recognise all those who are suffering or have suffered from bullying. We’re asking individuals and businesses to get involved and help us highlight and raise awareness of this devastating behaviour while at the same time raising money for our much-needed work. As bullying affects 1 in 2 young people and 1 in 3 adults, we all know someone who has been affected by it. Bullying creates a culture of fear and has a negative impact on everyone involved. 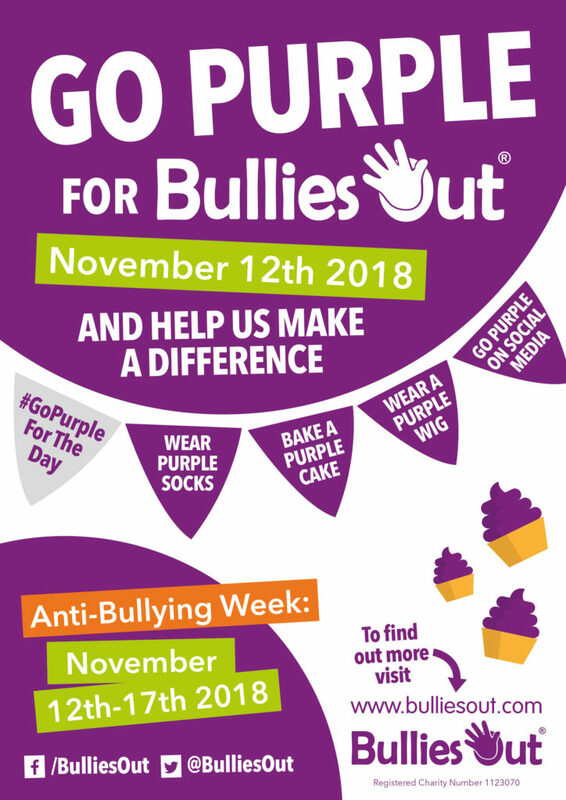 Being bullied can seriously affect a person’s confidence, self-esteem, social and academic well-being and their mental health and the effects of bullying can last for many years to come. 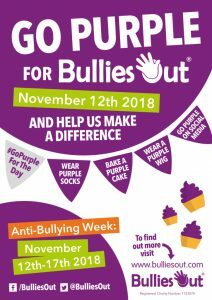 Go Purple will help raise awareness and encourage people to speak out against bullying. There are lots of ways you can get involved and help us #MakeADifference. Whatever you do, don’t forget to share your photos and stories with us. Why not contact your local press and let them know you’re doing something great to raise awareness of bullying?